The 2009 State of the Climate report released today by US National Oceanic and Atmospheric Administration draws on data from ten key climate indicators that all point to the same finding: the scientific evidence that our world is warming is unmistakable. The ten indicators of temperature have been compiled by the Met Office Hadley Centre, drawing upon the work of over 100 scientists from over 20 institutions. They provide, in one place, a snapshot of our world and spell out a single conclusion that the climate is unequivocally warming. 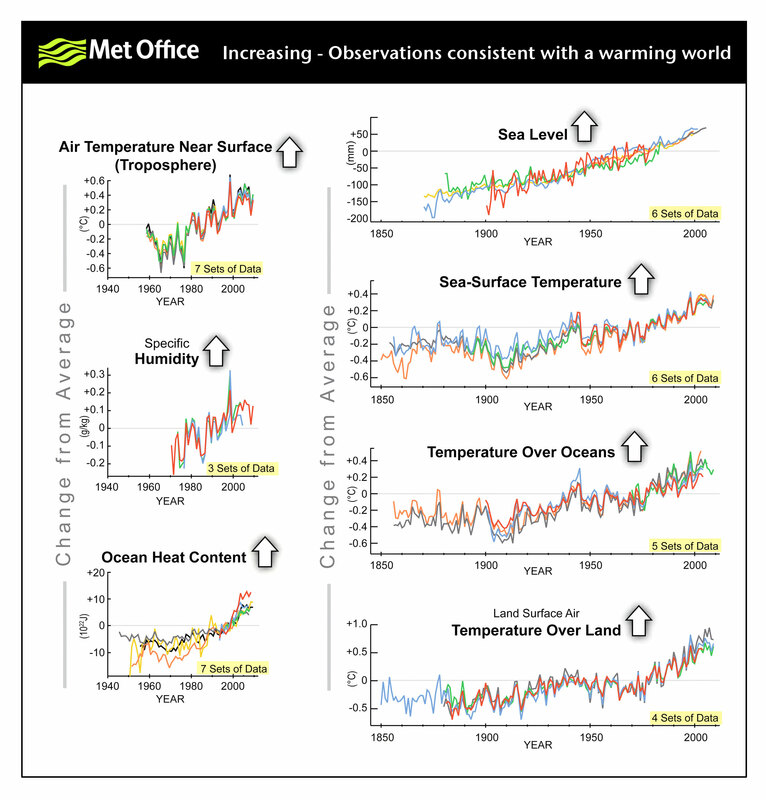 Relying on data from multiple sources, each indicator proved consistent with a warming world. Seven indicators are rising: air temperature over land, sea-surface temperature, marine air temperature, sea level, ocean heat, humidity, and tropospheric temperature in the “active-weather” layer of the atmosphere closest to the earth’s surface. 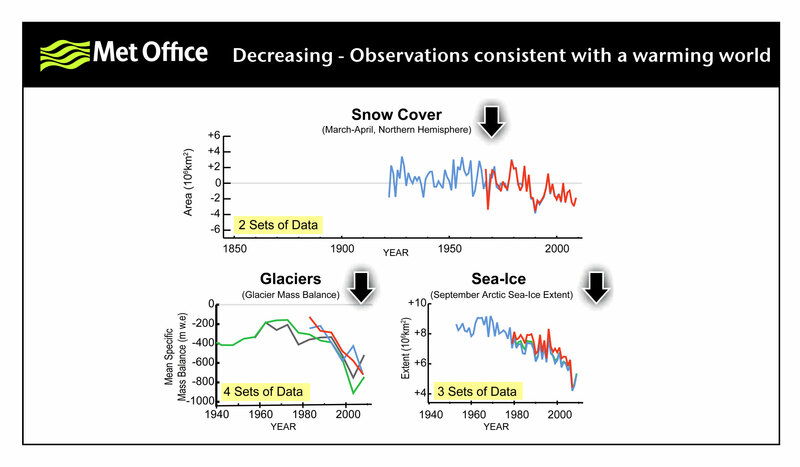 Three indicators are declining: Arctic sea ice, glaciers and spring snow cover in the northern hemisphere. Observations that are all decreasing, consistent with a warming world. Dr. Peter Stott contributor to the report and Head of Climate Monitoring and Attribution at the Met Office Hadley Centre said: “Despite the variability caused by short-term changes, the analysis conducted for this report illustrates why we are so confident the world is warming. The 2009 State of the Climate is published as a special supplement to the Bulletin of the American Meteorological Society and is edited by D.S. Arndt, M.O. Baringer, and M.R. Johnson. The full report and an online media packet with graphics is available at: http://www.ncdc.noaa.gov/bams-state-of-the-climate. This entry was posted in Met Office News and tagged climate change, climate science, Met Office, NOAA, State of the Climate. Bookmark the permalink.